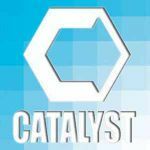 Been wanting to go to Catalyst for quite a while now. This year I get to go for the first time. In just over 3 hours I’ll leave with Ed and Brandon to catch a plane in San Francisco. in the next 3 hours, I still have to pack and get a bunch of work done for when I leave. So I’ll make this short. Looking forward to lots of great speakers, but right now I’m most looking forward to hearing from Jonathon Tyson again in the labs after being inspired by him at the greatest unconference in the church universe. Also looking forward to meeting and/or connecting with good friends and blogger friends alike. If you’re gonna be there, lemme know, and let’s connect! And you can be sure to catch some live blogging over here during the week. See ya! Liveblogging for all that can’t go?